The Kremlin has agreed to restore the airworthiness of Cubana’s fleet of Russian and Ukrainian jets and open a local maintenance and repair center to support the Cuban flag carrier. The sides signed the agreement during an official visit to Havana by Yuri Borisov, the vice premier responsible for Russia’s military-industrial complex. “We have found a proper way out of the [difficult] situation that would see the fleet of the Cuban carriers to be restored into a flightworthy condition,” he proclaimed. 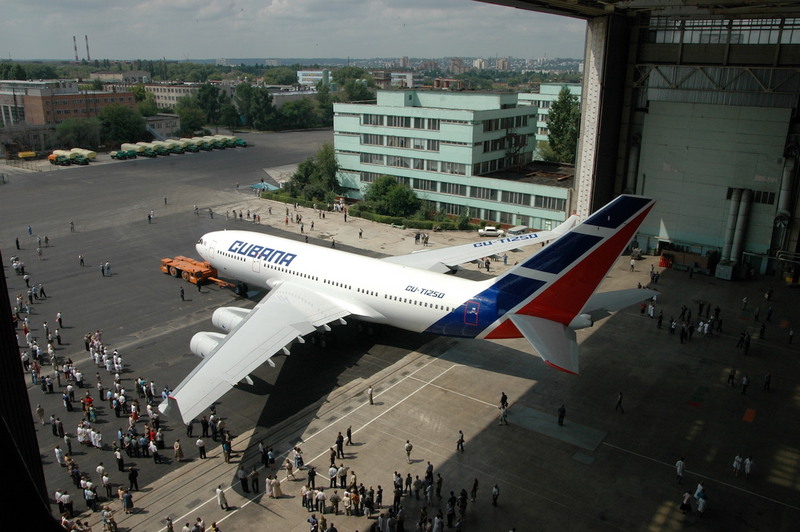 Before the signing, Russian specialists assessed the condition of five Ilyushin Il-96-300s, three Tupolev Tu-204s, and six Antonov An-158s supplied to Cubana between 2005 and 2015. A comprehensive plan to put them back into operation specifies the amount of work to be done and the spare parts needed. It also contains a list of technical agreements and contracts meant to set the process in motion. Moscow provides the bulk of funding under Cuba‘s sovereign guarantees. A key attraction to establishing a local MRO center to perform the bulk of work centers on cutting costs through inexpensive Cuban labor. Meanwhile, Moscow and Havana agreed on a plan to increase efficiency within Cuba's infrastructure through 2030. Early this century, Cubana instituted a major fleet renewal and opened many new routes into Europe and Latin America using the freshly supplied Russian jets. Over the past five years, however, the carrier’s financial burdens mounted, resulting in cash shortages. Cubana ran into difficult times as a result of the political and economic difficulties in Russia and Venezuela, the two cash cows upon which the carrier relied for its expansion. The airline has struggled to meet rental obligations for jets and repay credits taken earlier to renew ground infrastructure amid declining revenues following the May 2018 crash of a Boeing 737-200 it leased from Global Air, resulting in 112 deaths. As of early last year, most of the carriers’ widebody and narrowbody jets await C-checks, which Moscow has agreed to finance. Separately, all six of its Antonov An-158s regional jets have sit grounded due to technical failures and disagreements between the Russian lessor IFC and the manufacturer and key vendors in Ukraine as a result of the recent chill in political relations between Moscow and Kiev.